Prop For MINI ECO. Gromov edition, 40LAPS. 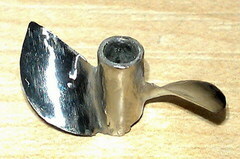 Propeller, which was won by 2017 World Championship in class ECO MINI EXPERT.